It is my privilege to be able to introduce to you some of our phenomenal staff. These people have taught me so much and I am continually blown away by their wisdom and their joy in serving. I am so excited for you to "meet" Siraji. This man's dedication to serving the people around him is something all of us could learn from. His smile shines with the joy of a person who truly knows God and I am humbled and honored to call him an employee and friend! I put on my first shoe when I was 14 years old. I grew up sleeping on banana leaves... I want to exhaust myself with helping others so that a life is improved. Thank you! It was so good meeting someone so amazing. "I want to exhaust myself with helping others so that a life is improved." And to "discipline with compassion" will stay with me forever. You will keep me in line over here in Indiana. Thank you for sharing his story - how wonderful to hear of the grace he received and the grace he extends. I hear many Christians in America wanting to know how much they should give - he has answered beautifully. What a model of God's compassion! He is such an inspiration for how we should all live. I know that he will be a godly influence in these children's lives. There is nothing as fulfilling as missionwork. May the Lord bless Amazima Ministries and Siraji! Katie, Thank you for sharing Saraji's story. It is good to see someone so focused on sharing Christ's love, and regarding this compassionate ministry as a responsibility before God. Asante sana. Full of compassion and God's Love and what a wonderful smile!! Amazing!!! May God continue to transform that lives of the many people and the Gospel of Jesus be known!!! Thank you for sharing this story and showing us those who do great work, who love and help others. You don't always see that and when you do it's nice. Having compassion for others is a God given blessing. Be Blessed Siraji. 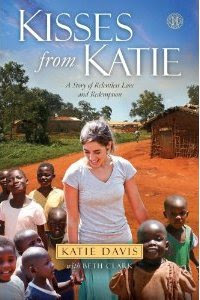 Dear Katie, I'm just 10 years old from the United States and thought my life was so frustrating but now that I'm reading your book it really touched my heart <3 just know that you will be reciving 5 dollars in cash, please enjoy my message. Katie! I don't know if you read these, but I have a question I am dying to ask you! I am 15 years old, and I've had a heart for children all my life. Ever since I was 9 years old I have wanted to adopt as soon as I could. It has always been my dream to adopt the day I turn 18, but I didn't know if it was possible. I was so excited to hear your story, and find out that my dream was a possibility! I have to ask though, what were the requirements for you to adopt? 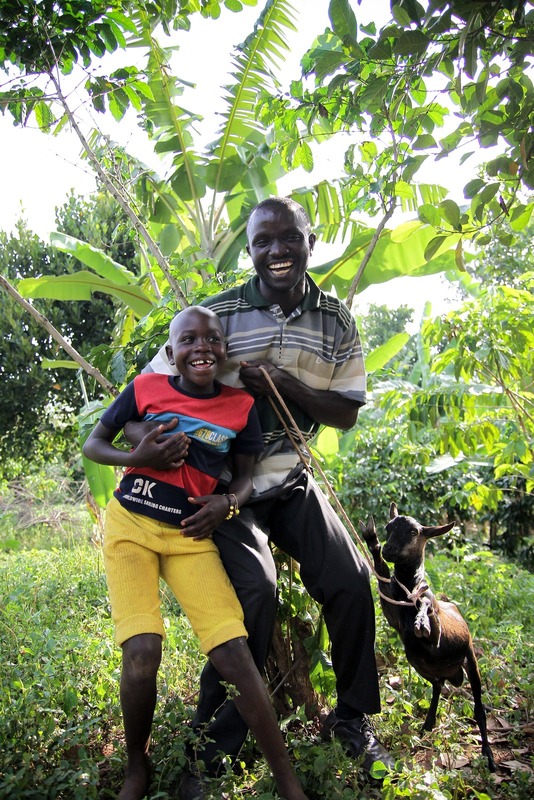 Did you choose to stay in Uganda, or was it required that you live there after adopting? Thanks! If you can, could you please reply? I am dying to know the answer! Your book and blog are very inspiring and humbling ? I have one request. My eyes are old and the brown background is very hard to read. My granddaughter went ti Africa two years ago. She wants to go back. I was very afraid and did not want her to go, but now we are both sponsoring a child there . Ignore the question mark after sentence. I should check before I keep typing! Saying I loved your book would be an absolute understatement. I have been so inspired by you. I cant imagine how many lives you have changed by being in Uganda and the people around the world who have read this book. It would be more than a dream come true to be able to come to Uganda and meet you. To experience what you are experiencing would definitely be a blessing for me. You are an amazing person and I have been so inspired by you and your beautiful children. Praise God there are still people like you in this world. God Bless!! My dearest Dr. Lee, Even if you probably don’t remember me, I would like to thank you again! I ordered a Love Spell from your temple one week ago. My wife Kathy was about to ask for a divorce, I was desperate. I choosed your spell and she came back within 3 days (I still can’t believe it! ), Thanks to you Dr. Lee of the Ancientfathersandmothers@gmail.com Love you forever! Hi my name is Katie jo. I am currently reading Kisses from Katie which i got from my mom for Christmas. So far i'm half way through and have enjoyed every moment of it! Anyways would love to talk to you directly about becoming possibly pen pals with your friends in Uganda. I love how God has worked through you. God has inspired me through your book to follow Him through His wondrous plans for me and others. I have read MANY christian books: books about christian detectives who use the help of God to protect them, drama filled stories about teenagers life's and there relationships with friends, family, and God. But for some reason God has used your wonderful book to inspire me deeply to give my heart to Him. Have a wonderful day, week, month, and so on! I will pray for you, your family, and friends of Amazima. May the Lord bless you and keep you! I just wanted to tell you that you are an incredibly person. You should be proud of yourself. Keep your head up and don't stop doing what you are doing. Awesome photos, love the blog.